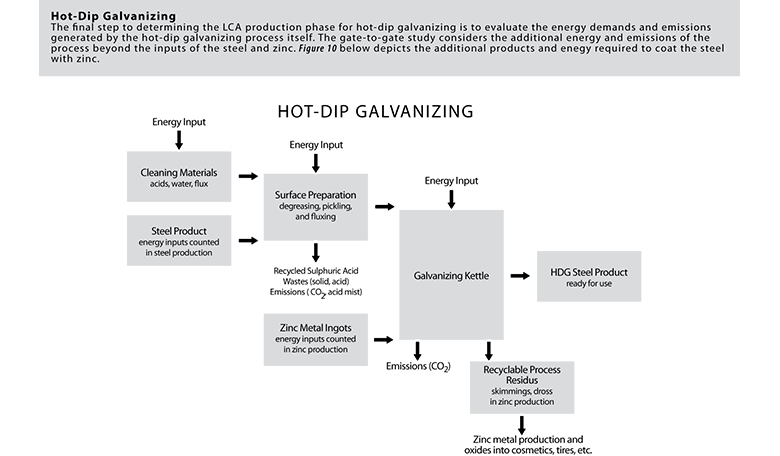 Hot-dip galvanizing is a responsible choice. Sustainable development is a vital aspect of the present and future environment. And although there are a number of different methods for measuring sustainability, they ultimately all have the same goal - build for the present without compromising the future. Hot-dip galvanized steel is uniquely positioned to largely contribute to building a sustainable future. Steel is a necessary part of modern construction, but its vulnerability to corrosion when left exposed is a hindrance to sustainable development. 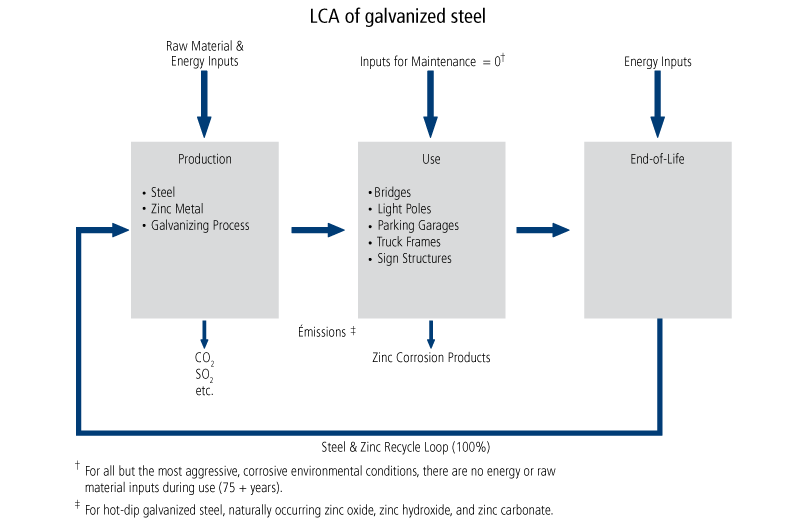 Coating steel with zinc through the hot-dip galvanizing process protects it from corrosion, with minimal environmental, economic and social impacts. Therefore, using hot-dip galvanized steel can help the sustainable revolution by fulfilling the promise of sustainable development, without compromising the ability of future generations to do the same. 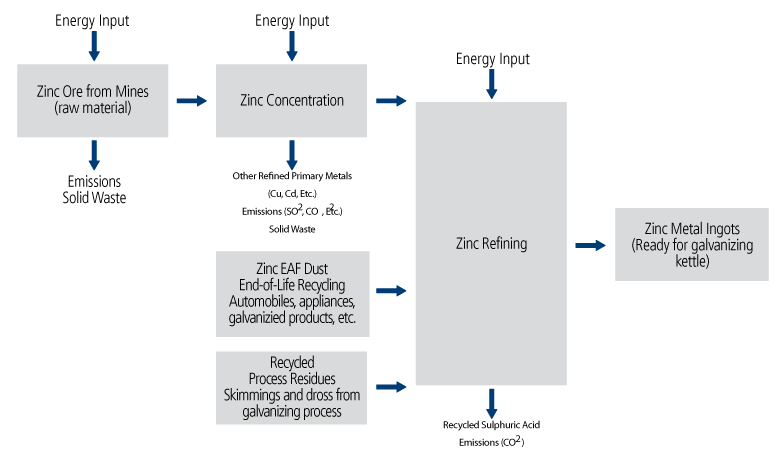 Think about it… Zinc is a natural and vital substance. Galvanizing does not modify the environment’s balance. Whether it be nutritional supplements, sunscreens, medication or diaper creams, all contain beneficial amounts of zinc, primarily in the form of zinc oxide. The industry generally promotes sustainable development by ensuring that its production and usage are environment and society friendly. Corbec Corporation is the first galvanizing company in Canada to fully process all polluted air at its installations. Our newly installed energy-efficient covers also contribute to our workers' health and security.